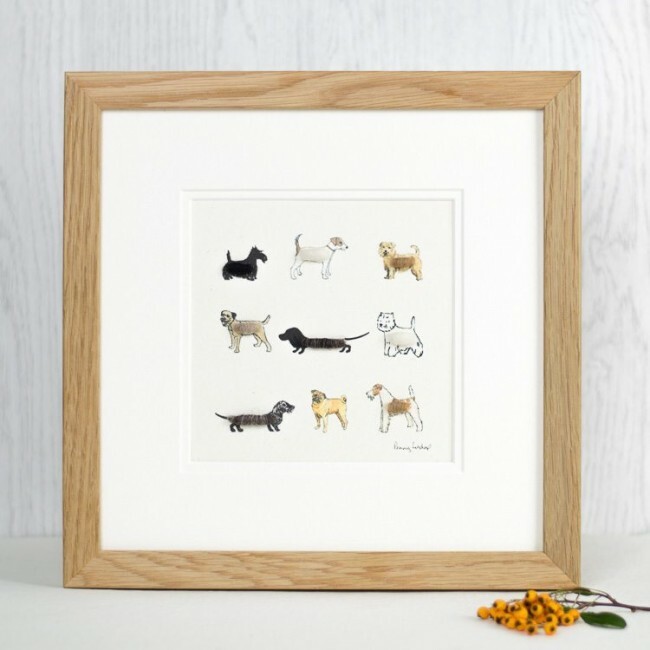 Our fluffy dogs print is always a popular choice of gift for dog lovers. 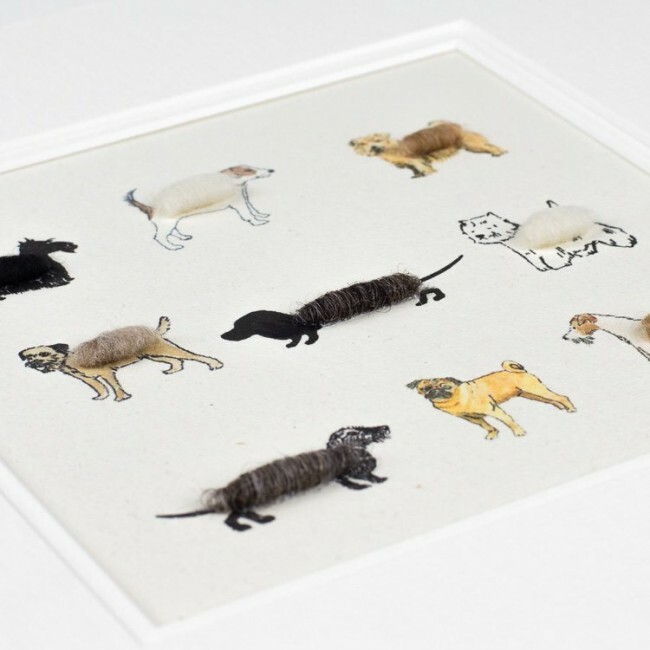 It features a collection of 9 fluffy dogs, all hand finished with a woolly 3D body. 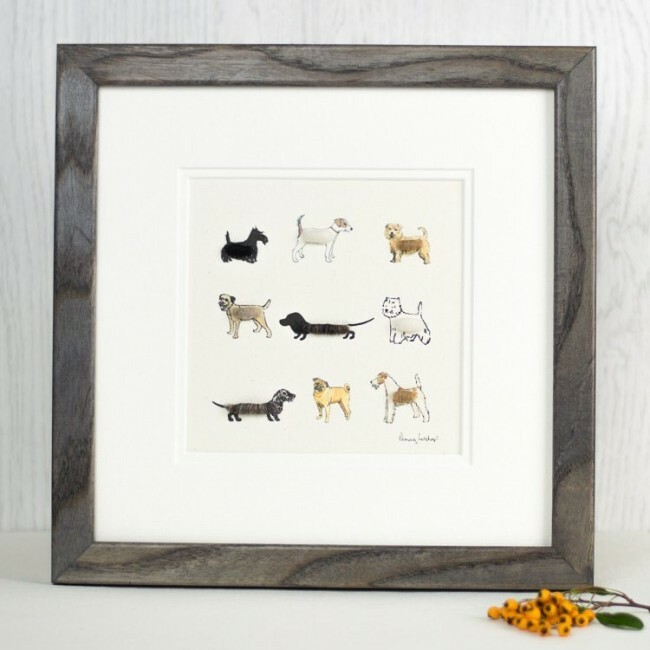 You will find all of these popular small dogs together: dachshund, westie, scottie, border terrier, Jack Russell terrier, Norfolk terrier, pug, fox terrier and a wire haired dachshund. What's not to love when it comes to dogs! Printed on an acid free archival quality paper made in the UK, and mounted in a conservation quality double mount. A double mount really adds a extra touch of quality to the finished artwork. Mounted picture size is 255 x 255mm (10 x10 inches). This is the inside measurement. It is a standard size fairly readily available. However, we are very happy to frame the print for you making this a complete gift. We offer a natural oak frame or charcoal grey stained ash. Both these mouldings have a simple plain profile and will enhance the artwork. 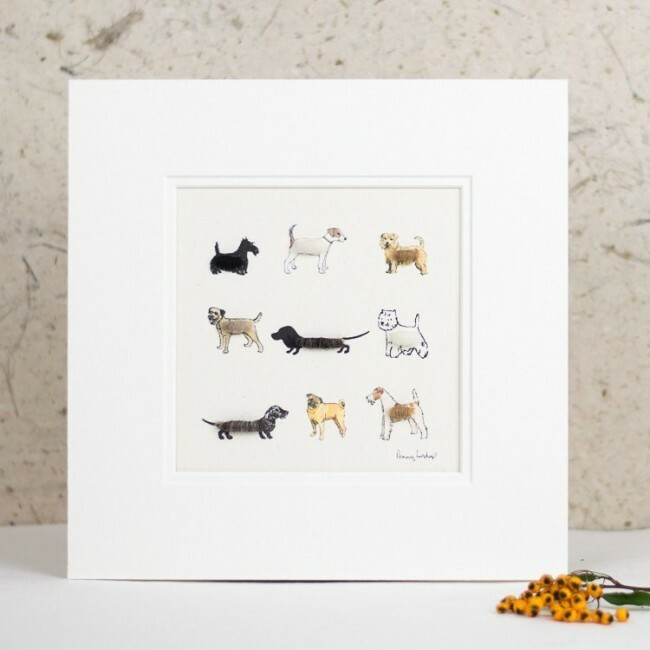 A personalisation can be added, this will be handwritten in pencil beneath the animals.